Genette's Doing Great Things!! 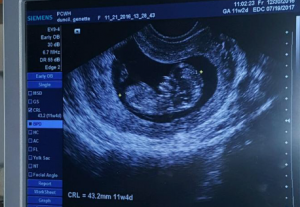 - Building Families, Inc.
Genette’s ultrasound picture left everyone in awe. It is insane how fast this kid is growing! ← Jessica’s Flawless Holiday Look!